This cute and classic bracelet is the perfect accessory for all occasions! 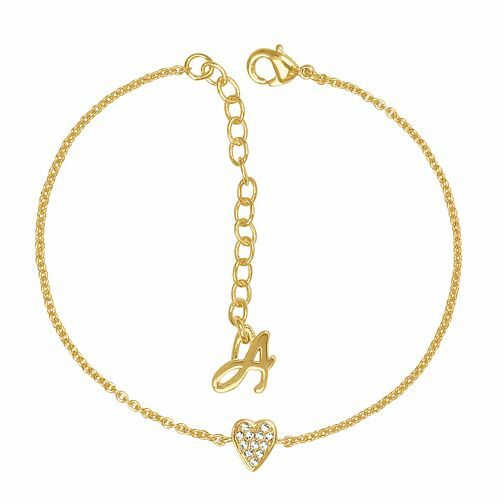 Crafted in gorgeous yellow gold tone, a fine chain presents a chic heart charm pave set with sparkling swarovski crystals. Complete with a lobster clasp for a secure and adjustable finish.